The Crystal Lake Central High School Booster Club invites you to join us for our annual fundraising event “Game Night”! This year we have moved to the Beautiful Facilities at Main Beach here in Crystal Lake, We can accommodate tables of 8 or 10, or single seat purchase (we will match you with other players). We can only have 180 Guests for this Event, so PLEASE DO NOT DELAY!! 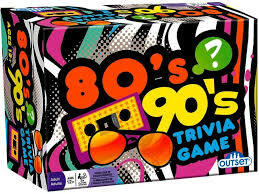 During this evening, we will have several rounds of Trivia, Contests during the Evening (more info to come) Raffle Prizes, Silent Auction Items and Cocktails (wine and beer) will be available for purchase along with Non Alcoholic Beverages! We encourage your group to bring an appetizer of your choice! Our Theme this year is “80’s and 90″s” so please FEEL FREE TO GET DRESSED UP! There will be Prizes for the Best outfits!! Get your table orders in, you can reserve a Table of 10, a Table of 8 or an individual Seat and our Committee will add you to others who want to Join in the Fun! If your Group/Club/Team wants to participate in the “fundraising” portion, they can create a Raffle Basket/Silent Auction Item and all proceeds from that item go back to the Group/Club/Team! Please contact the Game Night Committee for Details! Julie Arndt (ljarndt@comcast.net) or Cory Helm (coreyhelm@yahoo.com) for questions, or ticket sales!